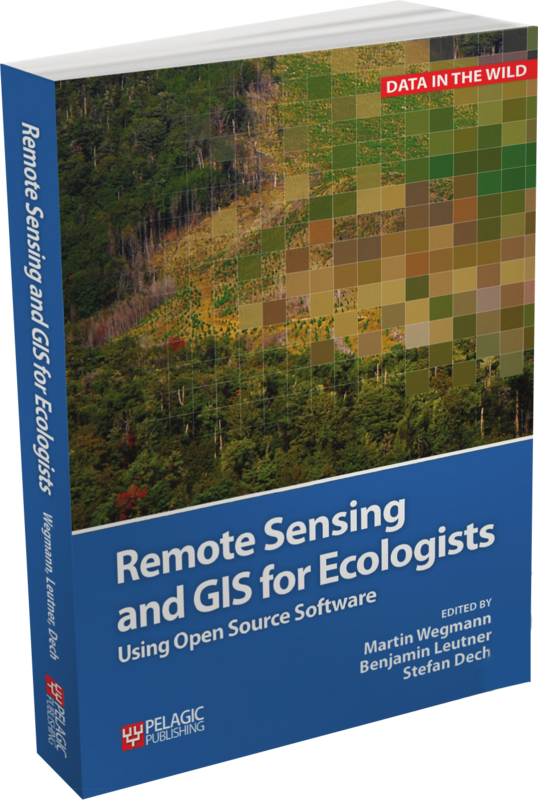 The book “Remote Sensing and GIS for Ecologists” by Martin Wegmann, Benjamin Leutner and Stefan Dech (edt) is finally submitted to the publisher. 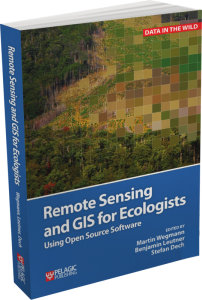 This book will cover all necessary steps to work with spatial data in an Open Source environment. 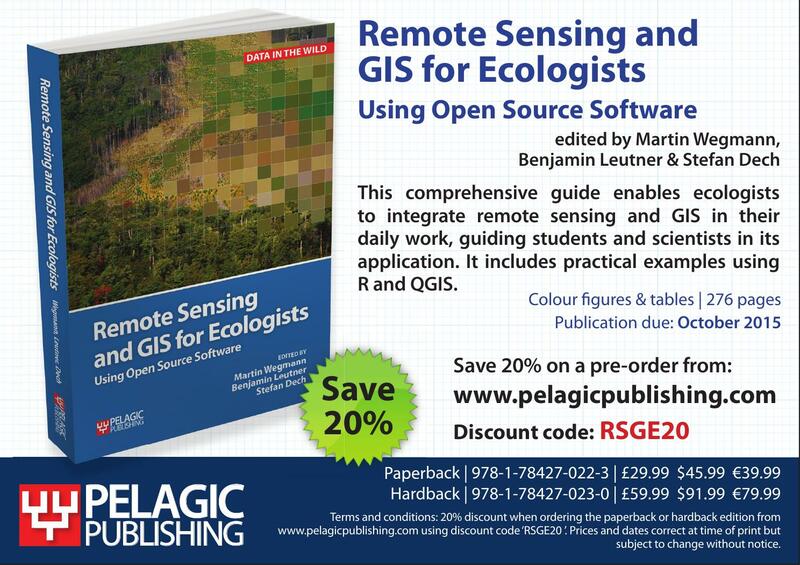 Vector and raster manipulation as well as land cover classifications and species distribution modelling are covered. 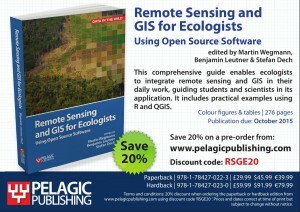 News and updates about the book will be posted on the books’ news page, as well as updates of related software packages.